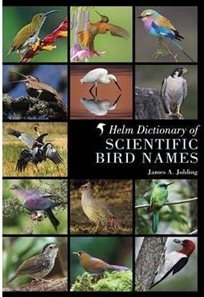 Many scientific bird names describe a bird's habits, habitat, distribution or a plumage feature, while others are named after their discoverers or in honour of prominent ornithologists. This extraordinary work of reference lists the generic and specific name for almost every species of bird in the world and gives its meaning and derivation. In the case of eponyms brief biographical details are provided for each of the personalities commemorated in the scientific names. This fascinating book is an outstanding source of information which will both educate and inform, and may even help to understand birds better.